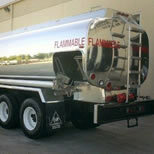 Manning Fuel Inc. | Providing Diesel and Gasoline deliveries on time everytime! Film, Studio & Broadcast Generator Re-Fueling Service Provided. Need fuel for your Heavy Equipment or a Construction Site? Are you in a Remote or congested metropolitan area? We will get you the fuel you need, when you need it! Give Manning Fuel a call today! Manning Fuel will gladly fill your Farm or Personal Fuel tanks as well ! Call us today ! Since 1965 Manning Fuel Inc.has been dedicated to serving your fueling needs. From delivering 10,000 gallons of diesel fuel to power generators on production sets, to delivering 100 gallons to make sure your equipment has enough fuel to get the job done. No matter how big or small your needs are Manning Fuel is here to make sure you have the fuel to get it done on-time everytime ! If you need fuel delivery, don't hesitate, call us now. Here at Manning Fuel we strive to provide the most affordable and prompt fuel delivery available anywhere! No matter where in the country or what time of day Manning Fuel always delivers. In an industry where reliability is paramount Manning Fuel never disappoints! The client logo's used above are trademarks of and owned by each represented company. Please visit each company’s website for additional terms and conditions.